This week, the trailer for next week’s living story release, The Dragon’s Reach: Part 1, was released. If you haven’t seen it yet, watch it, because that’s what I’ll be talking about today. Done with it? Okay. Let’s get started. The Foefire was a last-ditch effort by King Adelbern, cast as the Flame Legion overran Ascalon City. The charr had been warned of it, by a group of their own that had been sent to infiltrate Ascalon City and kill Adelbern; instead they found his servant, Savione, who warned them that the king was mad and what he planned. The Flame Legion chose to press the attack anyway. The city was overrun, and soldiers attempted to make a retreat, but Adelbern refused to let them do so, and instead unleashed the Foefire. This had the effect of killing the charr breaking into the city, but also obliterating every single human in Ascalon – not just the city, but for leagues around. Their bodies were destroyed, and their souls cursed to forever “protect” the land, seeing any living thing that crossed them as hostile, and to constantly reform themselves when destroyed. There’s no way of claiming that this was either an intelligent nor a sane decision from Adelbern. It was, quite frankly, monstrous. And it clearly was not cast with the intention of killing charr, but rather with the intent of cursing and damning the very land itself. He was willing to murder all of his people, instead of letting them escape. It was very much a case of “I’ll break everything instead of let someone else have it”. And so now, 237 years later, we see Rytlock making an attempt to break this curse. Clearly things with Mordremoth are heating up enough where they feel they need every potential ally they can get their hands (or paws) on. Why is Rytlock trying to break this curse? There are a couple reasons for this. It could be that he’s doing it as a final peace gesture with the humans – I will break this curse over members of your race in exchange for your assistance. It could be that they think that when the curse is lifted, the ghosts will still remain, and could be a potent force to use against the dragon. It could be that he’s attempting to remove a potential food source for the dragon. There are also a number of other questions that are raised here. Why has it taken someone so long to try and break a curse. Why is it Rytlock making this attempt, and not someone else? What are the chances of it even succeeding? So let’s take a look at some more information here. First off, King Adelbern himself. He was the last king of Ascalon, though he was not actually in the line of inheritance. He was descended from King Doric, so he was of the royal family, but he was not in the line of succession for the crown; he had been a leader of his guild during the Guild Wars and was elected king through popular demand. He was a popular king, but there were Royalists that wished to dethrone him and put Duke Barradin, who had been the heir, on the throne. Adelbern’s son and heir, Rurik, was to marry Althea, Barradin’s daughter. This marriage was likely arranged to strengthen Adelbern’s (and hence Rurik’s) claim to the throne. It should be noted that Barradin himself did not press his claim. King Adelbern had been the wielder of the magical sword Magdaer, while Rurik had wielded its sister-sword, Sohothin. These two swords are powerful Orrian magical artifacts that predate the Exodus of the Gods, and at some point (it is unknown) they were gifted to the Ascalonian royal line from the Orrian kings to ensure peace. Magdaer was shattered upon the casting of the Foefire, the spell having drawn on the magical power of the sword, and Sohothin was presumed lost when Rurik’s undead form was defeated at Hell’s Precipice. Somehow Rytlock found the sword; how it wound up back on the mainland is unknown, though it could be connected to the volcano at Abaddon’s Mouth erupting not long after Rurik’s final death. We don’t actually know the words or terms of the Foefire curse. According to legend, the curse will be broken if either Magdaer or Sohothin return to Ascalon City in the hands of the rightful king of Ascalon. Magdaer itself hasn’t been seen for some time – two years of in-game time. Eir retrieved the pieces of it from the Ascalonian Catacombs and said she knew a smith that could reforge it, but we do not know if this was ever successful. So, with all of that information, look again at the trailer, especially of Rytlock’s actions. And notice one very, very important thing. He wasn’t in the Ascalonian Catacombs, or any sort of city. He was in Duke Barradin’s tombs. The tomb of the man who would have been King, who was the brother of the King preceding Adelbern, and was next in line to inherit the crown. In other words, the true king of Ascalon as of the Searing and the Foefire. 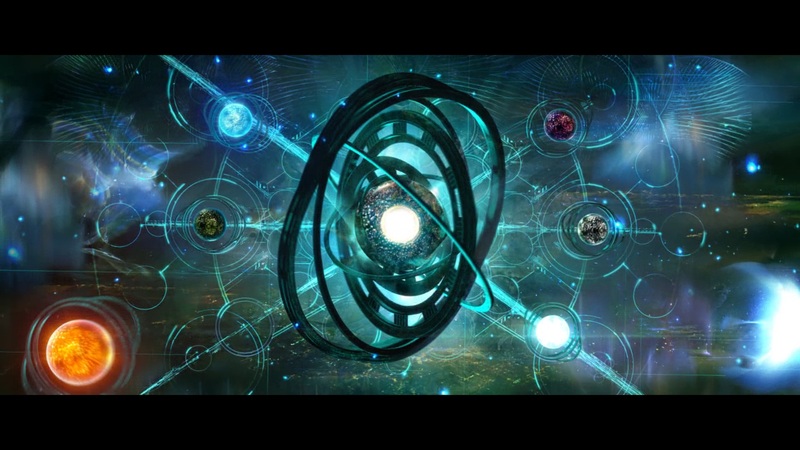 There are a lot of puzzle pieces here, but when you look at all of the information we know, looking back at the lore from Guild Wars 1, those pieces start to fit together. However, there are still large gaps here. We don’t actually know what Rytlock’s true intentions are, or what he’s actually trying to do here. 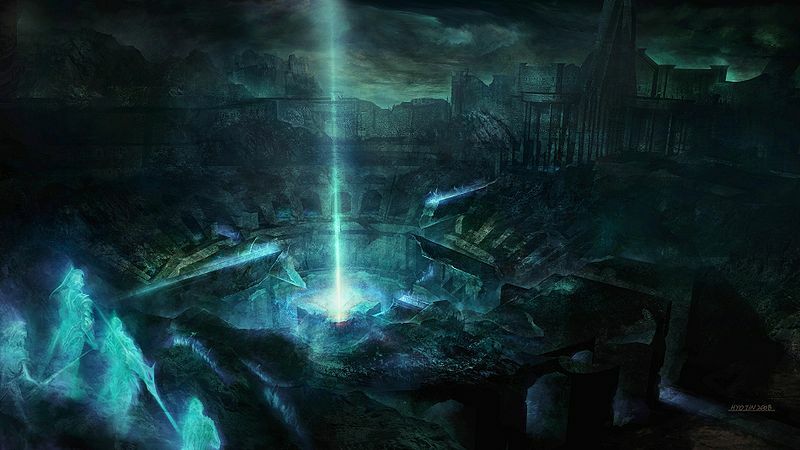 He may be trying to break the curse itself, thinking that bringing Sohothin to the resting place of the last true heir of Ascalon will be enough to satisfy the legend’s instructions on breaking it. It may be that he’s trying to awaken Barradin, to give him the sword, so he can break the curse, hoping that the presence of Sohothin would awaken some lucidity in Barradin’s mind (this theory would require Barradin to have died previously to the Foefire, most likely; it’s notable that we don’t actually know when he died). And keep in mind, we don’t actually know how the curse can be broken! We don’t know what Adelbern actually said. What we know about how it can break is prefaced by “according to legend”. Fact of the matter is, no one that was in a position to know exactly what Adelbern did survived. 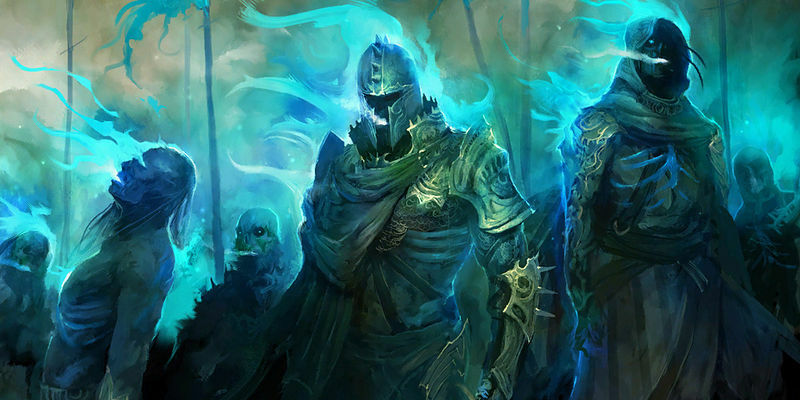 Ghosts that were killed by the Foefire see everything as a threat; they are effectively mindless creatures at this point. We encounter others who were turned into ghosts by the Foefire in the Ascalonian Catacombs story mode, but Ralena, Vassar, Nente, and Kasha were all presumably killed prior to the Foefire, and hence they still have some control over their minds and awareness of what is going on. 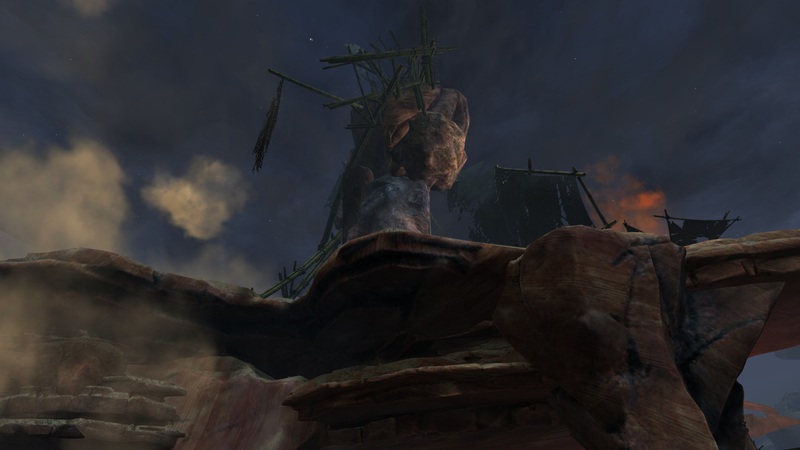 Curses, as we are used to them from fiction, are a thing that are rare in Tyria. 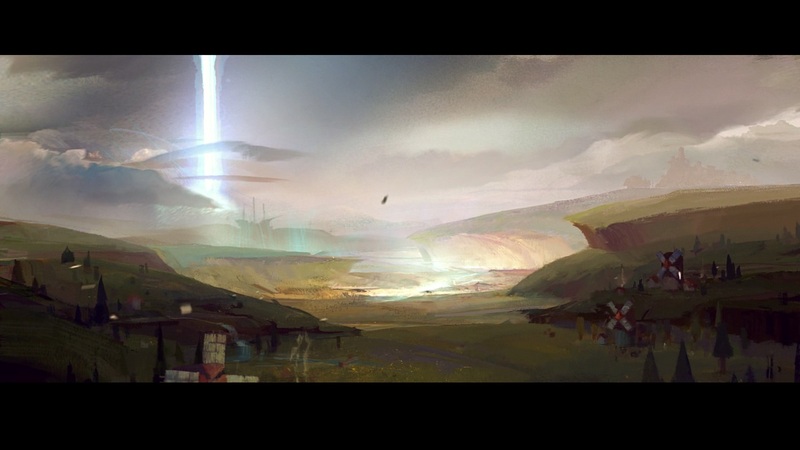 There is the Foefire, and the magical enslavement that was laid on the souls of the Orrian royal family when Zhaitan plundered their graves…but there are few others that we know of (if any). Hence, I want to quickly go over how curses typically act in fiction. They are a powerful type of magic, used to cause or wish harm upon a being or a thing. We’re all familiar with fairy tales, correct? Curses abound there. And there are a few common things – the wording on them must be precise, they are a type of magic that can often twist itself into something unintended, they can turn on their caster, and while it often seems that there is only a single way to break a curse, oftentimes a bit of creative thinking will present other options. There is also, as I pointed out, the fact that Adelbern was not the true heir to the Ascalonian throne and hence not the true heir to Magdaer’s powers. Magdaer was a sword gifted to Ascalon as a symbol of peace. Poweful magical objects can oftentimes take on a mind of their own, as well. It is unlikely that Adelbern fully understood or was able to use the magic in his sword; it is also possible that the sword itself disapproved of the curse (it did break during the casting of the Foefire). Even the very phrase “true king of Ascalon” leaves a large amount of interpretation, if that’s what’s needed. Does that mean Barradin’s ghost, who was the next in line of inheritance? Does it mean Adelbern’s ghost, as he was the king at the time? Or could it refer to a living member of the royal family? And even that opens a hundred different possibilities. The royal families of Kryta and Ascalon both descended from King Doric – so could Jennah break the curse? Is there another branch of the Ascalonian family still alive somewhere, perhaps? We already know of at least one, Wade Samuelsson; royal families tend to be large and have many branches and cousins upon cousins, so there’s always the possibility that there are more branches of the family we don’t know about that could be alive. Or, could it refer to the charr? After all, the charr lived in Ascalon before humans did – the Searing and the war between the two were the charr trying to take back their homelands. Speaking of Jennah – while it is known she’s descended from Salma, it’s worth pointing out that on the family tree, she is not shown to be related to any known members of the royal family. Is she a direct descendent, or perhaps descended through a cousin? There is Roderick, who is possibly Baede‘s son, and possibly Jennah’s grandfather, but neither of those things are actually known for certain. So there’s a lot to think about here. I don’t know if Rytlock will be successful in whatever he’s trying – I think it’d be neat if it did break the curse, but I also think it’d be equally funny if absolutely nothing happened. Realistically, I’m sure that Rytlock’s attempt at breaking the curse will be the very last thing we see during Tuesday’s update, and we’ll have to wait two weeks to find out what actually happens there (ArenaNet likes ending with a hook like that). And, personally, I do hope the curse gets broken…because that would mean a major revamp of Ascalonian Catacombs, and while I love that dungeon, it would be nice to see something new. It also wouldn’t be the first time Living Story massively altered a dungeon. A lot of questions here. A lot to speculate on. What do you think will happen? Or, for that matter, what’s even going on here? Well, that sure was an update wasn’t it? I laughed, I cried, I remembered that the Pale Tree and I are already on excellent speaking terms, and there’s no reason why I should have to wait two weeks to have an audience with her! But most of all, I was intrigued by the news found in this update, and some bits in particular have my mind absolutely spinning with possible implications. And so, it’s time for another installment of Dak’s Overly-Deep Analysis Corner! But let’s back up – Just to be safe, this post will be rife with spoilers. If you haven’t played through Entanglement yet, stop reading, go play and see it all for yourself, then come back and read this. We good? All back? Sitting comfortably? Let’s go! So, the more easily understood big plot point first: The thorn-covered vine tendrils we’ve been seeing aren’t simply signs of Mordremoth’s corruption – they are Mordremoth. 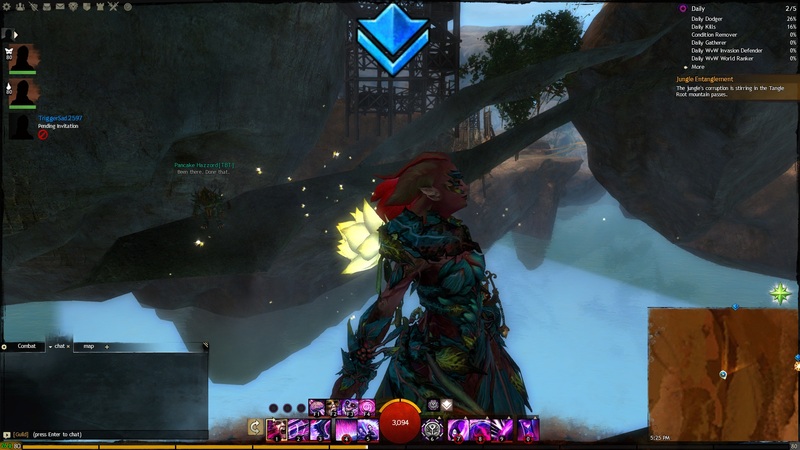 Physically, they are connected to the newly-awoken dragon, and since the end of last season, it’s been quite literally extending his reach across Tyria. And that reach is the first point of my speculation. Just how far has Mordremoth extended his planty grasp? Luckily, as the Dragons are attracted to magic, we have a handy indicator of Mordy’s current range: the waypoints it’s been prodding at, entangling, and sapping of energy. These waypoints have been found from Brisban and Kessex, along the edge of the Sea of Sorrows to LA and Bloodtide, all the way out to Timberline. Don’t mind me, just poking this floating rock! There’s a couple neat points here. First, with the exception of Brisban (which has proximity to the Maguuma Jungles) every one of those areas has been subject to Risen. Which may relate to something that’s intrigued me since the early days of the game: Dragon minions stay out of each other’s way. It has always been status quo that Ascalon belongs to the Branded, the Shiverpeaks are Icebrood, and the coasts of the Sea of Sorrows, belonging to Maguuma, Kryta, the Steamspurs, and Orr itself are the domain of the Risen. The only oddity are the Destroyers, who pop up where they will, but they only make things more interesting, because in the areas that they do emerge (Kessex, Maelstrom), they still avoid the Risen. It seems that in some capacity, the Dragons, while not necessarily allies, follow a sort of standing boundary where they’ve split up Tyria, but don’t bother each other. 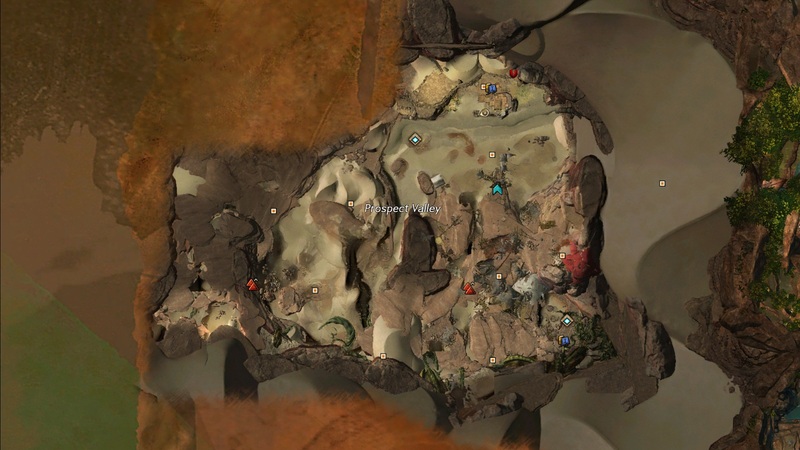 Which is why it’s interesting that Mordremoth seems to have, in some way, laid claim to zones previously “belonging” to the now-eradicated Zhaitan. Is it, somehow, aware of what’s happened to Zhaitan, and now stepping in to pick up the pieces? We still don’t know much about how the Dragons think, but it’s certainly possibly from what we’ve seen. Second neat point is, look at the map. Dry Top, Brisban, Kessex, LA, Bloodtide, Timberline. It describes a rather clear arch, following the coast of the Sea. It’s not random, we know, because now we understand the ley lines, and the waypoints that exist were placed atop strong ley line nexuses. 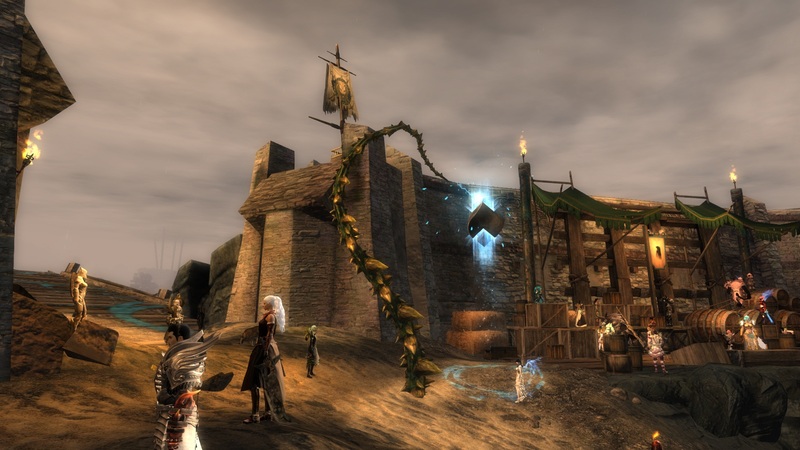 Fort Salma and Fort Concordia both harbored strong magical objects, and were subsequently overgrown with Mordremoth’s vines. The vines in Dry Top are around the Zephyrite crash site, where the ground is now scattered with Glint crystals, even more magical objects. Taken all together, I believe that Mordremoth’s vines are following the ley lines underground, surfacing where they detect strong magical energies directly above. If the Breachmaker woke the dragon by tapping into the nexus beneath LA, it seems Mordremoth has followed that same line back, and is branching from there for unknown reasons. The question now is… will the Dragon reach north, deeper into Kryta? Or will it loop south, into Orr, now free of any more than the lingering influence of its dead kin? The vine path of harassed waypoints, from Dry Top to Timberline. But wait – there’s more. At the very end of Entanglement, we see what Scarlet saw – a vision of the Eternal Alchemy. A symbol that we’ve been told represents the Pale Tree leads us into seeing a collection of globes similar to orreries, or spherical astrolabes. The center, largest sphere, according to the books in Scarlet’s hideout, represents Tyria. Arrayed around it are six smaller orbs in various colors. We see them spin, and then the green orb slams into the center, seeming to consume it as we hear a low snarling. This is what Scarlet saw, what pushed her to insanity! But… what does it mean? This part is obvious; note the colors of the arrayed orbs. The choice of colors is far too exact to be coincidence, they represent the Dragons. Six Dragons, six orbs, surrounding the world of Tyria. What is interesting is the placement. …can I have one for my living room? V: Uhh, where would we PUT it?! The Eternal Alchemy, as understood by the asura, is the equation by which the world is balanced. It is a massive mechanism, a machine, by which existence turns, inexorable. It’s a system of balance. The concept of a balanced system of existence isn’t a new one; world mythology has the idea in spades, with opposite elements or beings perpetually in… not so much combat, but opposition that keeps both sides in check. In the array we see here, the bright green orb – Mordremoth – is directly across from… a dull, grey/green-and-black orb, which by process of elimination must represent Zhaitan. And speaking of elimination, we sure managed that, didn’t we? Which brings me to my point on this vision: I think we made a huge mistake, one we could have never known we were making! 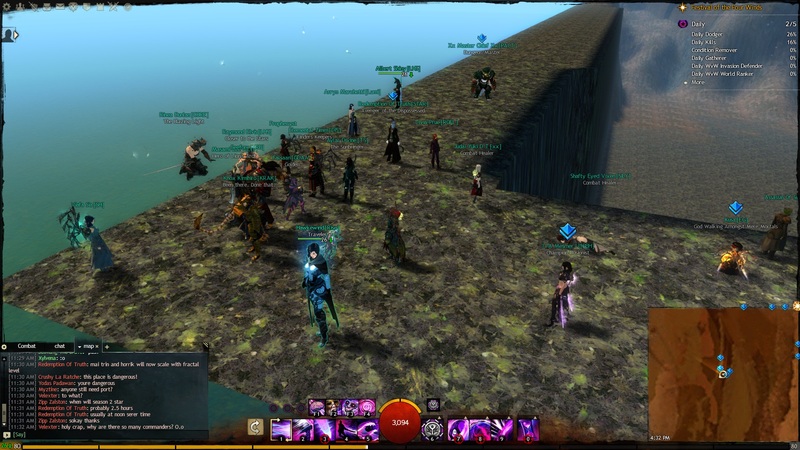 We destroyed Zhaitan, throwing the Eternal Alchemy out of balance, and leaving Mordremoth unopposed, perfectly poised to consume all of Tyria. And Scarlet found that out. She knew the Dragons consumed magic, and she discovered the Cavern of the Shining Lights, a powerful ley line nexus. In her own mad way, she confirmed her theories across Tyria, and then occupied Lion’s Arch, where she could use the ley lines to strike Mordremoth directly. But was her intention to cause the vision… or prevent it? Was it, perhaps, all a ploy to force the Pact to rally against Mordremoth specifically, so that we could eliminate it before the imbalance destroys Tyria? Why would she wake it early? Perhaps it was a desperate act; can you imagine how utterly lost we’d have been if the Pact were fighting, say, Jormag, focusing their efforts elsewhere while Mordremoth awoke and took control unopposed? Or perhaps even with Mordremoth slumbering, simply leaving one side of the balance intact would have had untold effects on the world. This all remains pure speculation on my part… but I believe the pieces are there. Are we now in a race against time, to stop a Dragon we accidentally aided? Perhaps we’ll find out… you know, in two weeks. When the Pale Tree can fit us into her schedule. EDIT: Aaand we’ve found another vine-harassed waypoint, this one in Lornar’s Pass, Guutra’s Homestead! This new waypoint follows the arc I drew out, and alleviates a concern I had about the vines skipping from northern Bloodtide to Timberline! (Interestingly, the Cascade Bridge Waypoint north of it is vine-free, but flickering…) If any of you find a waypoint I’ve not mentioned, please comment and let me know. I’m keen to map this phenomenon accurately. 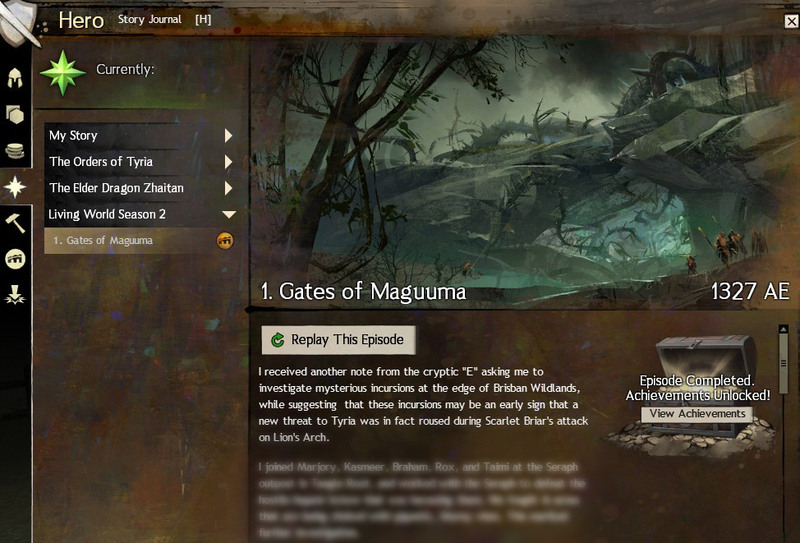 Yesterday, season two of the Living World, the Gates of Maguuma, released, giving us our first taste of how the living story is going to be handled in Guild Wars 2 from here on out. Thus far, I am quite impressed with what we’ve been shown so far, and eager to continue on. Now, I’ve been taking something of a break from the game the past couple of weeks. A combination of stress in my personal life and just a general feel of burnout made me just not have the desire to log in. It happens, and for me, is a thing that tends to happen fairly regularly with games. All that said though, I was pretty excited for this new release. New content was exactly what was needed to make the game feel fresh again, and also made it apparent just how used to the biweekly content cycle I was. So yesterday morning…might have found me breaking the map in Brisban, waiting for the new update. Hee. It was an entertaining way to kill time while waiting for that ten minute warning to pop up – all sorts of entertaining glitchy things would happen over in that corner. Things like jumping near a ledge and hovering. Of course, when I logged back in after the patch hit, I kinda was stuck in the map. 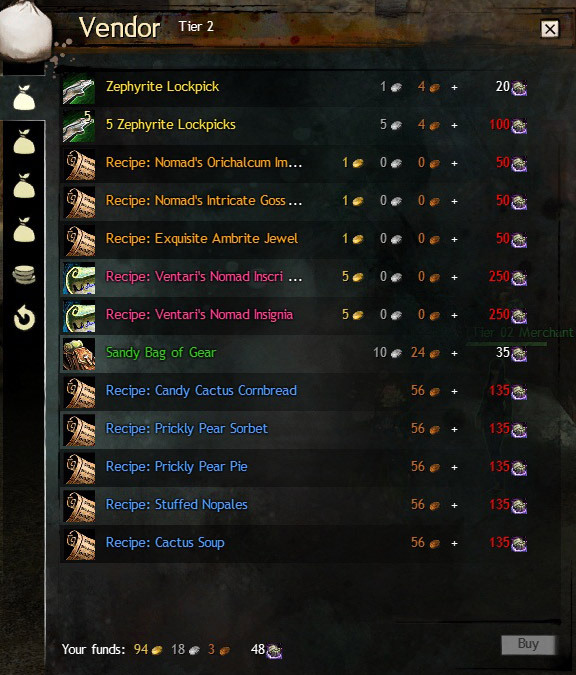 At least this time was due to something I had actually done and not an occupational hazard of playing a mesmer. That’s also a really good shot of my mesmer. Neat. I…kind of wasn’t able to get out of that corner. Oops. Waypointed out, partied up with some friends, ran back, and we decided to immediately dive into the story. I’m not going to talk about the story much, because it just came out yesterday and I don’t want to spoil things much, but…it is so very clear that they listened to the criticisms of the first living world season and personal story, because the quality is far higher than previous releases. Amazing lore information (when you enter the zone – talk to Nimbus. Go through everything he’ll say. Just do it. You won’t be disappointed. ), great NPC interactions, and just good stuff all around. The writing is a lot tighter than before in general. Also, there was actually a lot of story given to us yesterday. Episode one consisted of something like a half dozen different story steps, and it gave us more story in one go than we’d see across several releases during season one. So that was a definite improvement that pleased me and I hope continues going forward. One nice little touch about the story journal, by the way, is that if you go back through everything, it lists what year it all took place in, so we can see how time has progressed in game. It doesn’t have the season one stuff listed, but still, a neat little feature. Two years has passed in-game now. I blurred out the text, so no spoilers here! So! The zone itself. We are heading into Dry Top, as was correctly guessed by Dak last month. The entrance was basically exactly where he guessed it would be, so that was neat to see how spot-on accurate he was. 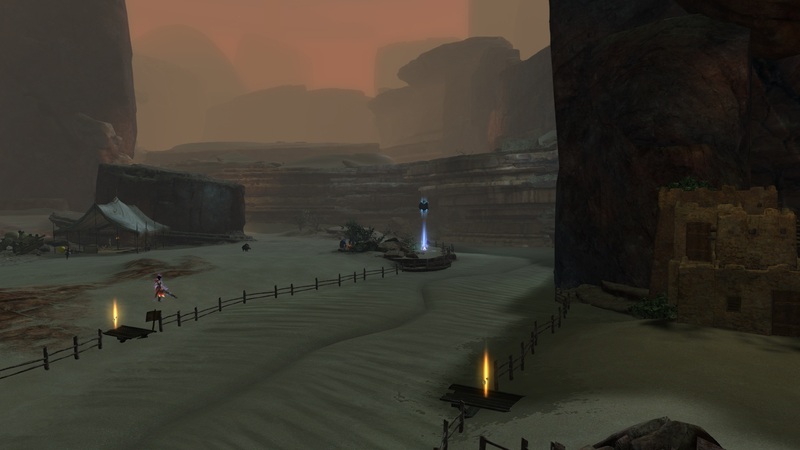 The zone itself is very small – Dry Top in Guild Wars 1 was a tiny zone, but not quite this small. However, I doubt it will stay this tiny – I’m certain that as events progress in the story more of the area will open up and we’ll eventually head through into new zones. As small as the zone is, though, it feels larger than it actually is…due to the fact that it has a large amount of verticality to it, and requires use of Zephyrite crystals to navigate fully. Which, by the way, is not as easy as it sounds, as they are crystal fragments and have a limited timer. Personally, I find the timers to be a bit frustrating at time, and spend a lot of time backtracking all over to find the crystals I need to get somewhere, only to have them run out halfway…but if you move fast enough, you can get to all sorts of crazy places in the zone. That’s a jumping puzzle, by the way. 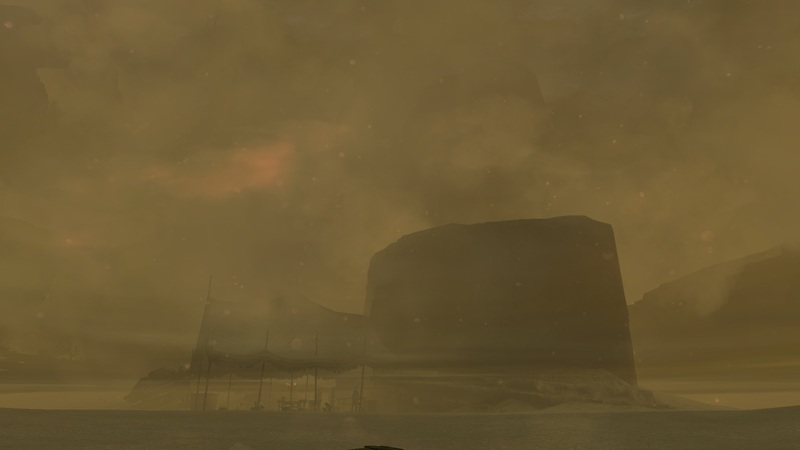 One of the main features of the zone is a sandstorm that blows through every 40 minutes. While the sandstorm is active, there are different enemies in the area to fight, as well as Buried Locked Chests to track down and open. They are very much worth hunting down, as they give quite nice rewards. Champ bags, new crafting materials, possibility of new crafting recipes, and so on. If I may go on a temporary tangent, in fact, I just want to say that the rewards this time around? Very nice. I think they took to heart that a lot of people were finding rewards to be too stingy, and they decided to change that. Every story step I completed basically had me going “sweet, sweet loot!”. I’ve also had good luck with getting tier 6 materials as drops. Back to the sandstorm! It definitely is an interesting mechanic. It also makes traversing the open parts of the zone very disorienting. It, in fact, got me killed during my very first trip into the zone yesterday. Whoops. This is what exploring during the sandstorm looks like…and that’s rather clear for that area. Environmental hazards tend to be a common theme in Dry Top. There’s the fact that most of the zone is a vertical maze that will have you hopping across precarious poles (and probably swearing profusely as you fall to your death). There’s the sandstorm. And there’s also a quicksand river that surrounds the town of Prosperity. When I got killed due to the sandstorm? I wasn’t aware the river was there nor could I see it, and walked right into it. It will kill you pretty fast. There is in fact an achievement for managing to stand in the quicksand river for at least 15 seconds and live. I’ve been seeing a lot of people try and fail that one so far, which is pretty entertaining to watch. It is possible to cross it safely, using crystal aspects, luckily. Generally if you get stuck in it, you are not getting back out. While taking these screenshots, I watched someone try and live quite a few times. Key word: Try. There is, of course, a number of things to do in the zone. There are quite a few events that happen there, and completing events while the sandstorm isn’t active raises favor with the Zephyrites. Raising favor with them will change the things carried by merchants, as well as changing the prices on some of them. The events that happen are a good mix – one is essentially a capture the flag/keepaway game with Inquest, there are standard “rescue X NPCs”, hunting down and killing certain champions, blowing up a cave-in, and so on. There is also one area that only opens up during a specific event, and keeping that area open requires succeeding at that event, as well as followup ones that happen. Some of the new stuff you can buy. New items you can get include a new armor/weapon stat type (stats are toughness/healing/vitality), as well as new cooking recipes, and lockpicks that you use to open those chests you find during sandstorms. You’ll note that there’s a new currency at work here – geodes are a new thing that you can exchange for these new items. So far I’m kind of back and forth if I like geodes or not. They can be used for a lot of things, and it feels like getting them in large quantities will not be easy unless you farm events and get to favor tier two or three. You need them for lockpicks so you can open the chests so you can get Ambrite (the new crafting material). You need them to buy the new recipes. There are Piles of Silky Sand that drop, and you can use ten of them to try and get a geode, but so far I’ve gotten very low returns on that – over a stack of sand resulted in about three or four geodes total. …but on the other hand, this has been around for all of a day and is permanent, so in the long run, it probably is not going to be an issue at all, and I’m likely just approaching it from a “this is going away in a couple of weeks” mindset, which will be hard to break out of. Thus far, I’m quite happy with the new living world stuff. I’m excited to see where things are going to go from here. I want to see more of the zone and figure out exactly what’s going on. Is it time for the next release yet?